Fyodor Dostoevsky by Peter Leithart is part of Thomas Nelson Publisher’s biography series, Christian Encounters. I received this book for free, in exchange for reviewing it. I knew that Fyodor Dostoevsky was an author of classic books, but I had never read any of his books, nor knew anything about him, or that he was a Christian. It was interesting to me to read about an author before reading any of his books. This book made it clear that he wove his life experiences into his novels. This book is about Fyodor’s life, which mainly from with conversations with his friend, and flashbacks during these conversations. Before the first chapter begins, it states that the conversations took place when Fyodor was in his twenties. However, in some flashbacks, it was not always clear what age he was, and I would have liked to have been given that information. Some scenes were also difficult to understand. Fyodor was a complicated person and I was surprised to learn of his multiple marriages and affairs. Even though he made poor decisions, he was always faithful to God. Having known virtually nothing about this author, I do believe I now have a small glimpse into his life. Although I do not feel like I was able to fully grasp the subject’s life, as I have been able to do to in other biographies, I know more than I did before I began this book. This book was interesting and I was again reminded that just because someone is a Christian, doesn’t mean they will never “mess up.” I recommend this book to anyone who enjoys learning about classic authors or to anyone who has read any of Dostoevsky’s works. Learning about his life will give you a greater understanding of his books. Robin Parrish’s latest novel is Vigilante, released this summer by Bethany House Publishers. I have read all of Robin’s books and jumped at the chance to review this book for free from Bethany House. Just like all of his other novels, this story is well written and very descriptive, and it moves along quickly. This story takes place in the not too distant future, when the world is overtaken by evil, people running wild, having little value of life. Gray, the protagonist, chooses to lead a life of a better example, encouraging others “there is a better way,” by saving the innocent from the “bad guys” and generally helping people in trouble. There was an aspect of the book that I did not like, but I cannot explain it without spoiling the plot. I do recommend this book, if you like stories filled with action. Once you pick it up, you will not want to put it down until the end. I am looking forward to reading more from author Robin Parrish. I have been making yogurt for several years. I started out making it in the crockpot, which usually worked, but occasionally was rather runny. 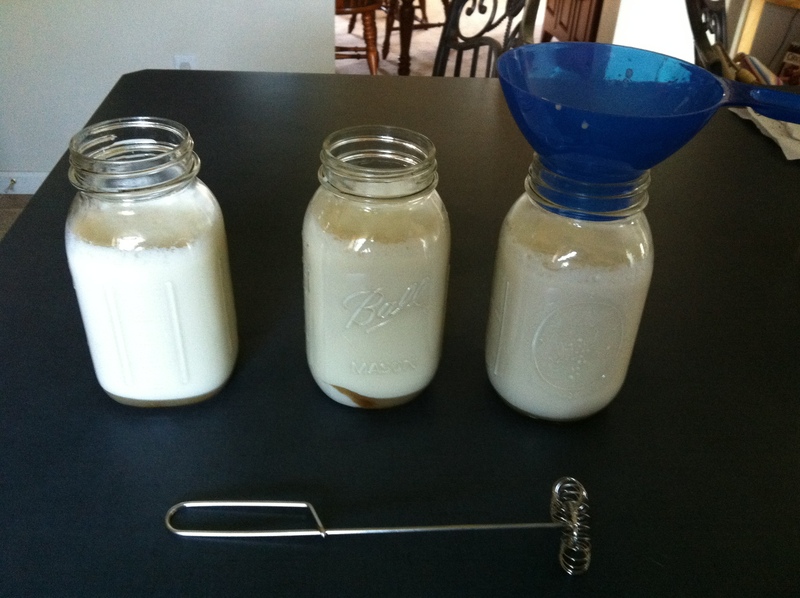 Fortunately, I found a different way to make yogurt that is even easier and works more consistently. So my new way to make yogurt is based on this version from Heavenly Homemakers. 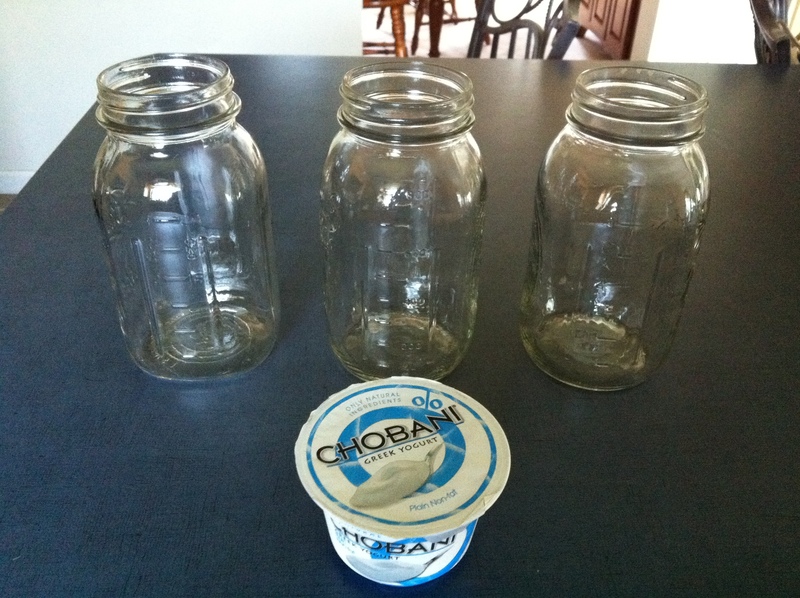 Divide the plain yogurt between the 3 quart jars. 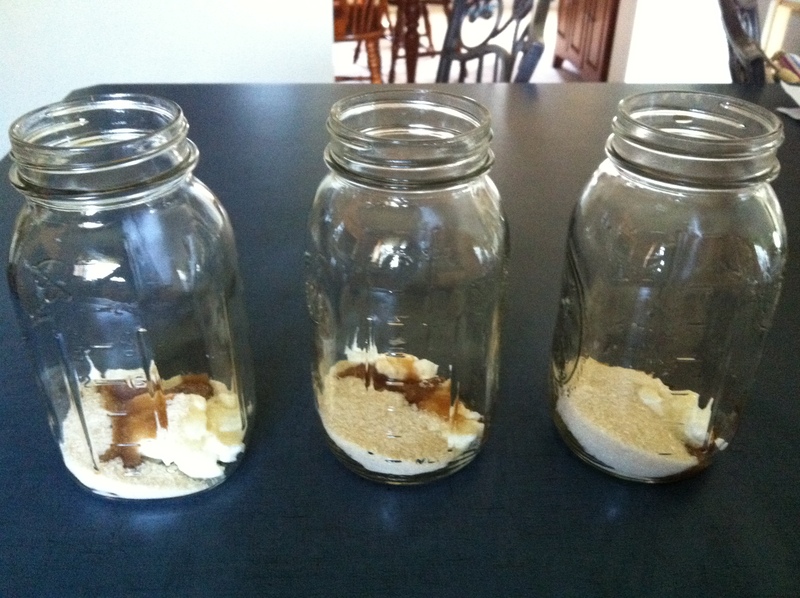 add 1/8c plus half of 1/8c cup sugar (I use organic evaporated cane juice) per jar. add approximately 1/2t vanilla per jar. 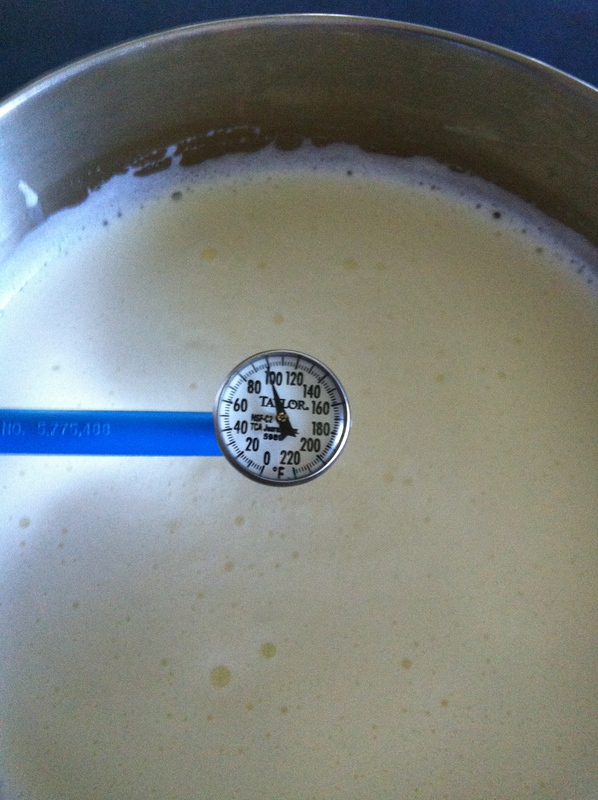 Heat milk on the stove to just under 100 degrees. I whisk it to make sure it heats evenly. 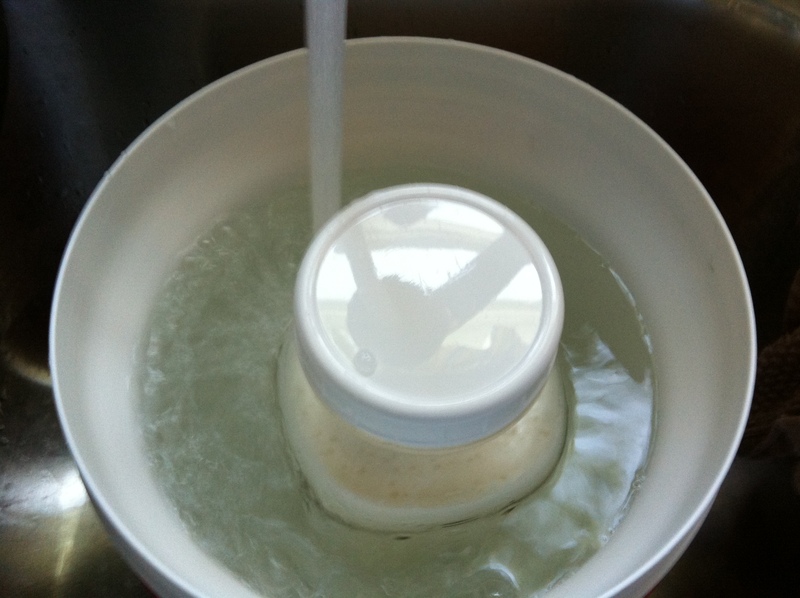 Add milk to each jar, keeping it evenly divided. Using a mini whisk, mix the yogurt, milk, sugar, and vanilla well. Place lid on each jar. Place the jars in coolers. 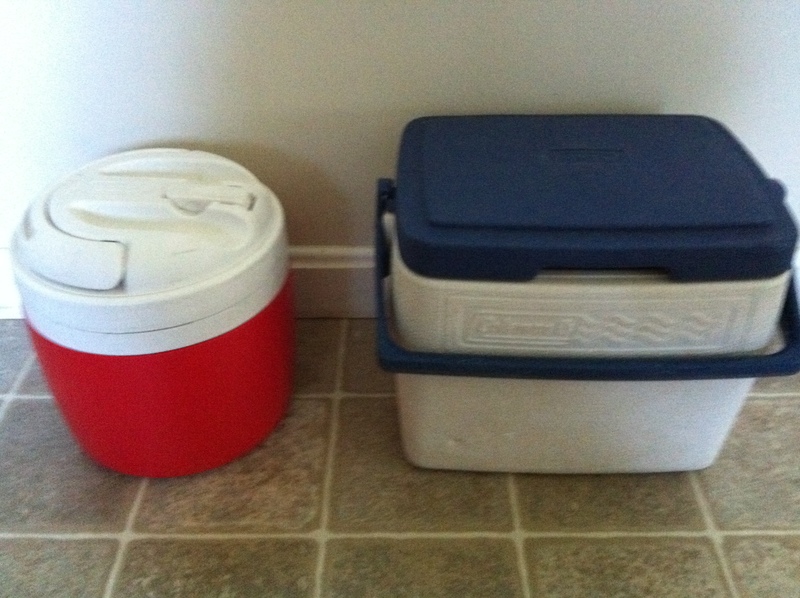 I cannot fit all three jars into one cooler, so I place one jar in one cooler and two jars in another cooler. 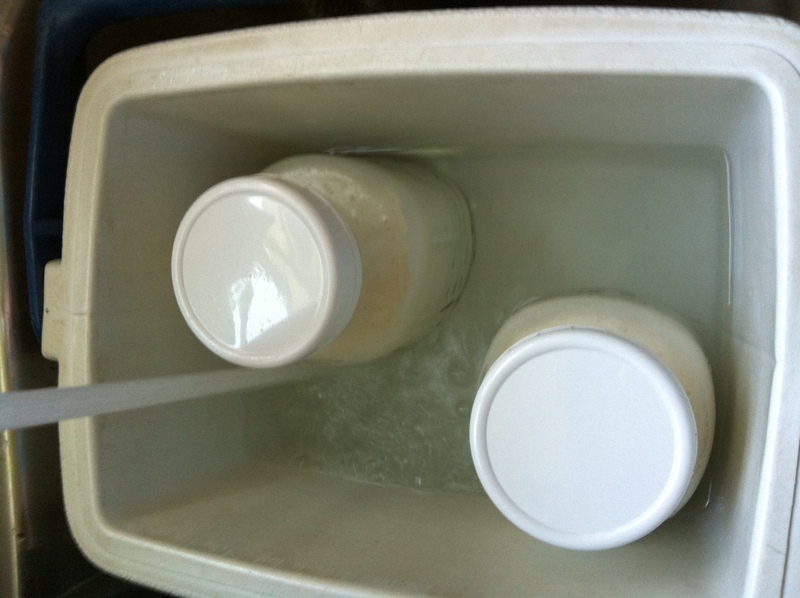 Fill up each cooler with very hot water, but do not cover the lid. Leave yogurt in coolers for at least 8 hours. After 8 hours, place the jars into the fridge. More than 8 hours is okay also. I once forgot about my yogurt and left it in the coolers overnight, after it already had set for 8 hours and it was just right. Sometimes I will not add any sugar when making the yogurt. When ready to serve, I will mix in a small amount of maple syrup or jam to sweetened it. Chobani is my first choice of yogurt. It does not have any added hormones. I used to use Dannon yogurt, and it worked well, but read that Dannon uses genetically modified ingredients. I contacted Dannon about this and they would not answer my question in an email, but requested that I call them. I didn’t really want to deal with a phone call, just preferred a simple email answer, so I didn’t call them. A few months ago, I signed up to try some foundation (Covergirl Natureluxe) for free through BzzAgent.com. I received foundation and lip gloss in the mail to sample. I decided to try this product because it seemed to have more natural ingredients. Overall, I liked the foundation, but did think it was a lighter coverage than I was used to. It does smell very nice! The lip gloss I wasn’t really impressed with. I thought lip gloss was normally glossy, but this seemed more like a combination of chapstick and lipstick. It was drier and I would not buy it. I received some coupons with my samples, and considered buying the foundation, but it was regularly priced at $13-$15, which seemed a little on the high side. Free samples from BzzAgent are something I want to try again in the future. I appreciate the opportunity they offer to try new products.